The former Starr County tax assessor collector, who in 2015 was arrested along with her entire staff for stealing thousands in taxpayer funds, pleaded guilty to theft and tampering charges last month. 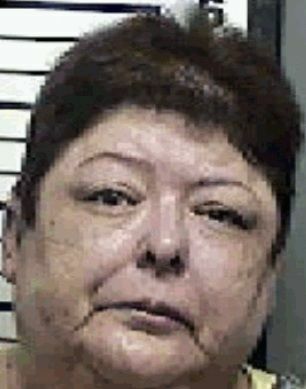 Carmen Peña pleaded guilty to theft by a public servant and tampering with a government record. She was sentenced to two years with the Texas Department of Criminal Justice with a $7,000 fine and restitution and demand of $619,836. For the tampering charge, she was sentenced to two years in a state jail facility, according to 229th Assistant District Attorney Gilberto Hernandez who said the terms would be served concurrently. Deputy clerks Maria Crisanta Gonzalez, Oscar Garcia, Mary Ann Lopez, and Cynthia Rivas also pleaded guilty to theft charges and each received five years deferred adjudication. All the other co-defendants in the theft cases, Hernandez said, had already agreed to testify against her. Others who pleaded guilty to tampering charges included one of her brothers, Jose Antonio Alvarez and Norma Quezada, a deputy clerk in the DMV department of the tax assessor’s office. They received two years probation and two years deferred adjudication, respectively. The charges against Griselda Quezada, another deputy clerk, were dropped as part of her mother’s, Norma Quezada, plea. Mayra Quezada, a deputy clerk on the DMV side, entered into a pre-trial contract, the conditions of which she fulfilled resulting in her case being dismissed. One of Peña’s other brothers, Fernando Alvarez pleaded guilty to bribery charges last year and received four years probation. As part of the deal, the charges of tampering against his wife, Delicia Canales, were dropped. The charges against two men arrested in the case, Juan Garcia and Jose Cruz, who were also charged with tampering and forgery, were dismissed. Sergio Garcia, another man arrested in the case on similar charges, remains on the run. The mass arrests at the tax office came after an investigation — led by the Texas Department of Public Safety and included the 229th District Attorney’s Office investigators and FBI Agents — found the employees fraudulently registered vehicles, according to information provided by Hernandez in an email. In 2012, DPS began investigating the office, looking into individuals being able to obtain license plates and Texas Inspection Certificates without any traceable paperwork. Investigators also noticed multiple vehicles were registered to the same address. For example 130 were found to be registered to a P.O. Box in Rio Grande City, Texas. Some of those vehicles were subsequently seized when found transporting marijuana. A confidential informant, who had been providing information on the Gulf Cartel, informed investigators that an individual would cross from Mexico to Roma and someone at the tax office would give him vehicle license plates without presenting any type of documentation. Surveillance verified at least one such instance. The employees also allegedly carried out a theft scheme through payment reversals. Payments from residents were registered as having come in months earlier therefore eligible for early-payment discounts. The reversal resulted in an overpayment and the employees pocketed the cash. Overall, the Starr County Auditor’s office calculated over $779,000 was stolen. The auditor’s office first noted discrepancies in 2009-2010, notified the county judge and subsequently an external audit was requested. County Judge Eloy Vera told The Monitor in 2015 that the case became a “hot potato” between law enforcement agencies, explaining why it took so long for arrests to take place. Peña has until 5 p.m. on Sept. 14 to turn herself in to the Starr County jail, Hernandez said. From there she will be transferred to another facility.